Beautiful shell design, hand-crocheted women's Poncho! Love the colors on this! 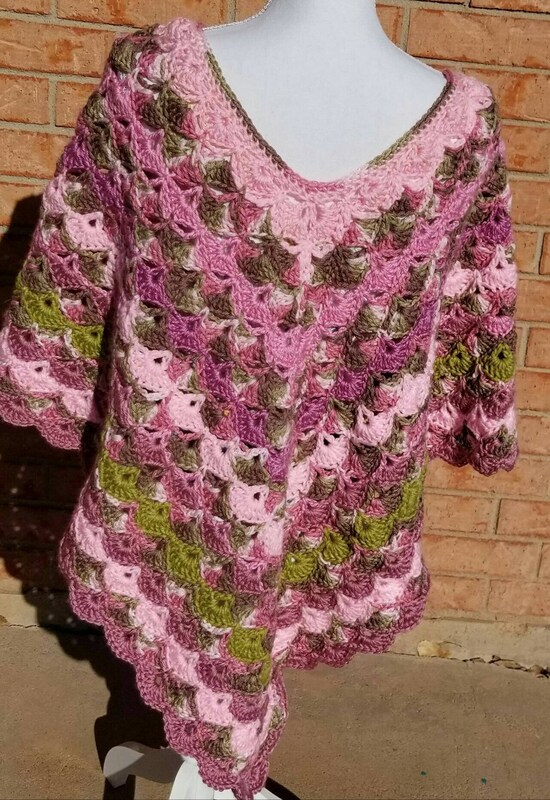 Pinks and Rose and variegated colors come together to make a lovely poncho. It is 28in long from the neck to the point so one-size-fits-all! Made of acrylic yarn, machine washable and dryable medium or gentle.